As a coach myself, I am often amazed at other sports coaches who have their athletes run long-distance for conditioning for a sporting competition which requires the athletes to be strong and have explosive speed. Attend a track and field meet, look at long-distance runners then look at the short-distance sprinters. Do you notice the difference in their body-types? Look at their muscle tone. Normally, even when the sprinter is on the slim side of lean, there is still muscle definition. If you look at many long-distance runners, their bodies look as if they have been on a hunger strike for months. 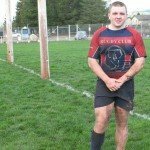 Which body-type do you think you need for rugby? Which body-type do you think you need for rugby? 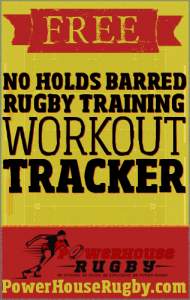 In the coming weeks on the PowerHouse Rugby blog and in my coach’s corner TryLine newsletter, I will be sharing better training methods for rugby players. I ‘ll offer why I believe running-for-distance training will slow you down, and make you less explosive on the rugby field. I’ll discuss mistakes made in games and how better training can prevent them; how better nutrition can help you build strength and recover quickly, and I’ll be interviewing some rugby experts. I will also lay emphasis on how you should be training to activate your fast-twitch muscles for explosive power during rugby games. The fast-twitch muscles allow you to jump higher and farther, make you run faster, and enable you to react to change quickly. When I am pushing my training theories, you may think that they won’t work for you because you have never been a “quick-twitch” athlete and you don’t believe you can become one with your body type. What is my answer to that way of thinking? Bull! 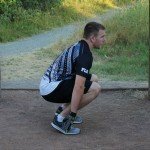 Yes–you can become a “quick-twitch” athlete. Everyone who can put one foot in front of the other under the age of 40 can increase their jumping ability, sprint faster, and improve their reaction time. I am not saying that by training for explosiveness on the field that you will become a world-class athlete and compete for a spot on the next Olympic rugby team. You might not even become the most explosive player on your team, but you can improve enough to make a difference for your team. Or maybe you are already the fastest guy on your rugby team with a great vertical leap, and lighting fast reflexes, so you don’t think you need to up your training game. I believe that you can still improve your impact on the field with explosive power training. Or maybe your playing goals are modest: you only want to participate on your school rugby team for fun. You can still improve your explosiveness and your athletic abilities to make the most of your time on the team. Gaining explosive power also helps to prevent injury both on and off the field. Don’t want to get hurt? Get more explosive. 1. Slow-twitch muscles help enable long-endurance feats such as distance running. 2. Fast-twitch muscles fatigue faster when utilized in powerful bursts of movements like sprinting. During aerobic exercises such as swimming or running, slow-twitch fibers are the first to contract. 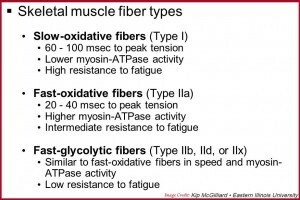 When the slow-twitch fibers become fatigued, fast-twitch muscle fibers begin to take over the workload. There are compelling benefits to working to the point of temporary fatigue—and therefore making sure fast-twitch fibers have been recruited. For instance, if you’re looking to boost muscle mass and strength, using fast-twitch muscle fibers is the only way to do it. On the other hand, aerobic exercises, those that mainly use slow-twitch fibers, can increase stamina and the oxygen capacity of your muscles, allowing the body to burn energy for longer periods of time. So you see, all kinds of players can improve their athletic performance by following the tips I will be sharing. Be sure to take a moment to sign up for the Tryline Newsletter and follow this blog for more upcoming advice from this coach’s corner.